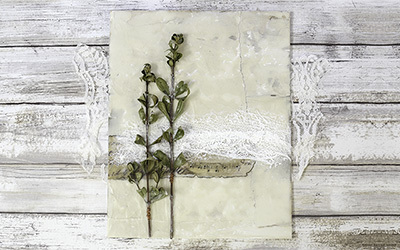 Here’s a 60-second timelapse of today’s encaustic piece featuring dried leaves. 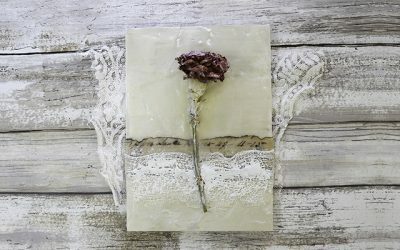 Here’s a 60-second timelapse of today’s encaustic piece featuring a dried flower. 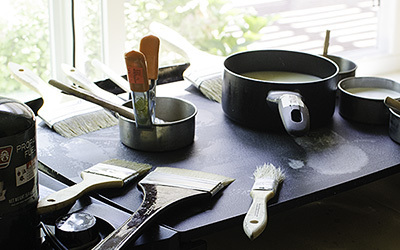 Learn how to make encaustic medium in your own studio. 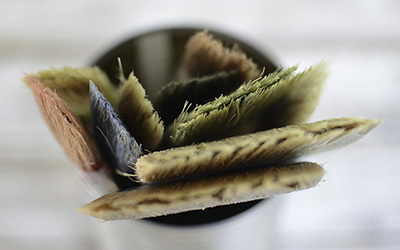 Learn what types of brushes you can use for your encaustic work, as well as how to clean them and how to deal with bristles that get embedded in your work. 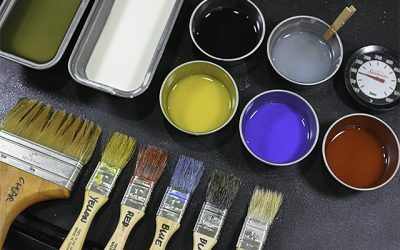 Learn all about the encaustic palette and how to set it up so you can start working with encaustic. 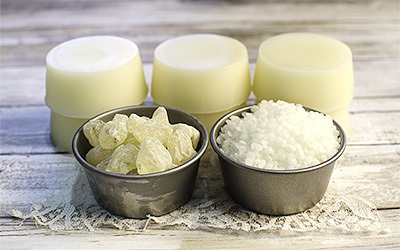 Here is a guide to encaustic materials to help you get started in setting up your studio and working with encaustic. 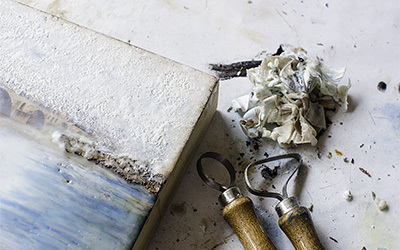 If you’re interested in learning to paint with encaustic, I am offering private painting sessions by appointment. 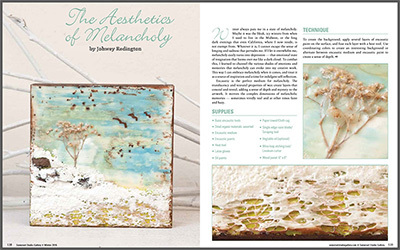 Read an excerpt from my first feature article in Somerset Studio Gallery magazine, Winter 2016 Issue. 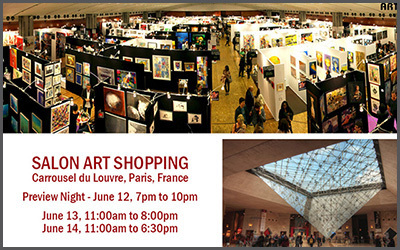 Come see me at Salon Art Shopping in Paris, France. June 13 to 14, 2015 with a preview night on June 12.